2 pages lined, 1 page blank format. They are created for classes where a lot of text is written and a few detailed pictures are created. 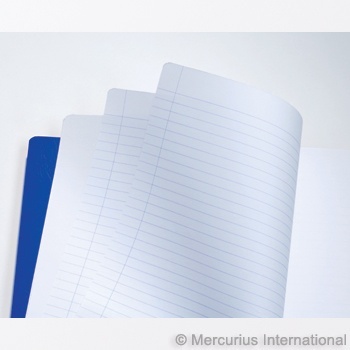 Books are covered with a 280 gsm (90lb.) heavy card stock cover to protect their valuable contents. 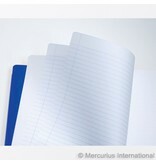 48 pages, A4 (8.27x11.69 inch), 1x2(= 2 lined sheets, 1 drawing sheet), no onion skin, blue.